Ahmed Al-Benhawy – specialist in Egyptian Salvia. 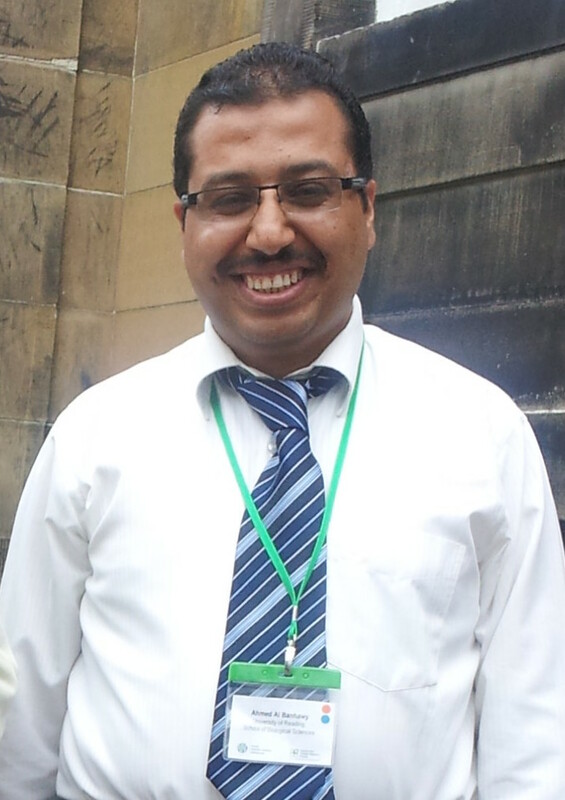 I am an Egyptian ad-hoc (visiting) PhD student working within the Culham research group since 2012. Currently I am in the final stage of my PhD on the Molecular Biosystematics of the Egyptian Salvia L. species. 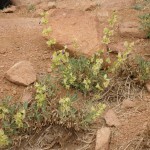 I have a long term interest in the biosystematics of Salvia (Sage) of the Mediterranean basin; I launched my PhD project in 2009 by extensive collection trips all over Egypt to collect as many as Salvia species as possible from their natural habitats and to conduct a survey of which species records were still current. 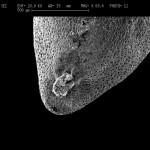 Following from the filed work; in 2010 I conducted a deep investigation study for morphology, anatomy and palynology of the Egyptian Salvia apecies at Suez Canal University, Ismalia, Egypt with two highly experienced supervisors Professor El-Sayida Gamal el-Din and Dr. Wafaa Mohamed Kamel. In 2012, I moved to the University of Reading, Reading, UK to join Dr. Alastair Culham’s research group to conduct part of my PhD research, especially the molecular part. This is with the intention of adding to and building on the previous research. 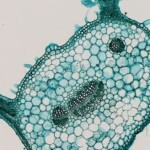 Salvia leaf in transverse section showing vasculature of the petiole. 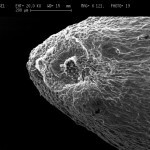 Scanning Electron Microscopy (SEM) of both nutlets “the small fruit of Salvia” and pollen grains is of great interest to me to explore the taxonomic relationships between the closely related Egyptian species as well as other species distributed worldwide. 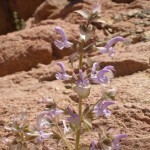 Salvia is a huge genus comprises around a thousand species. To place the Egyptian Salvia properly within the whole genus; I collected as many species as I can including fresh and/or herbarium materials from 35 counteries through several visits to botanical gardens and herbaria. Several visits to the Egyptian herbaria, KEW and RNG herbarium, to confirm identification and collect plant materials for the current study. After few months joining Culham research group I have learned many key tools of the molecular techniques such as DNA extraction, PCR and molecular phylogenetic analyses. 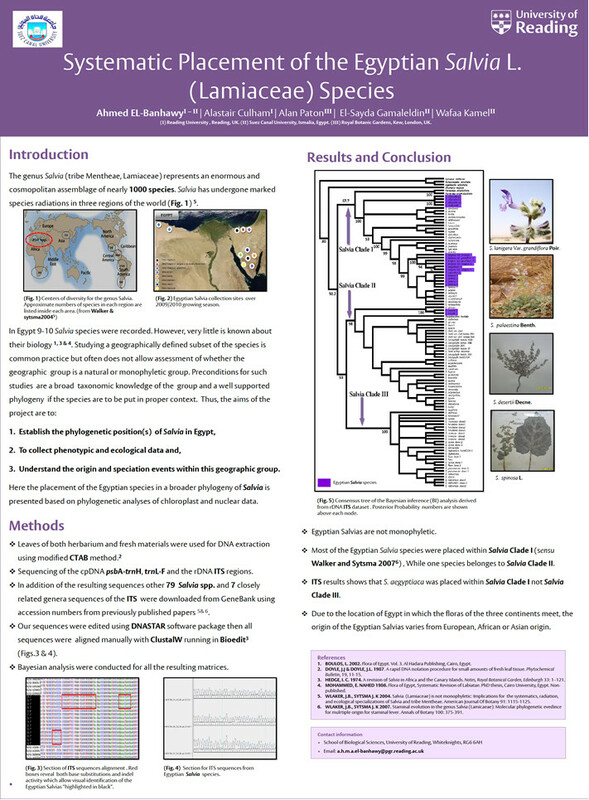 This experience helped me to produce my first poster entitled (Systematic placement of the the Egyptian Salvia L. (Lamiaceae) species) in the YOUNG SYSTEMATISTS FORUM “29th November 2012, Flett Theatre, Natural History Museum, London”. 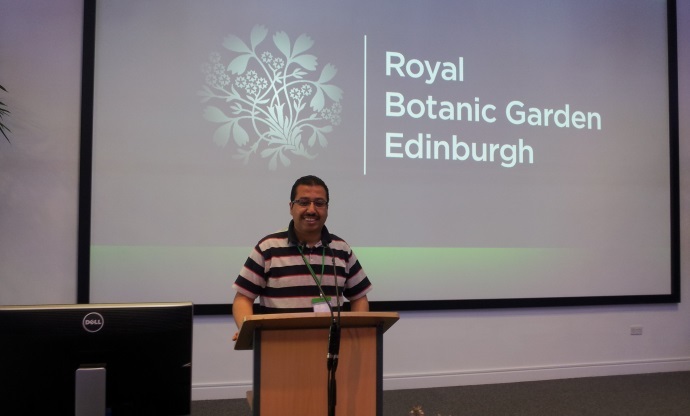 A few months later I gave an oral presentation in the Plant Life of South West Asia 8 (PLOSW8) conference held in Royal Botanic Garden at Edinbrough, Scotland. During this meeting I presented my work and get very good remarks and discussion with many respectiful taxonomist and phylogentic expertise worldwide. The second participation was at Edinbrough the historic city of Scotland. 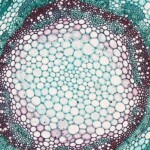 Do you give interesting talks for Natural History concerns?